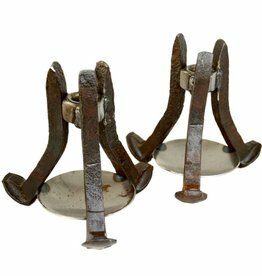 Handcrafted candle holders made from salvaged railroad spikes used on the transcontinental railroad. Made in Calpine, CA! 9 x 7 x 7 inches, 6 lbs.